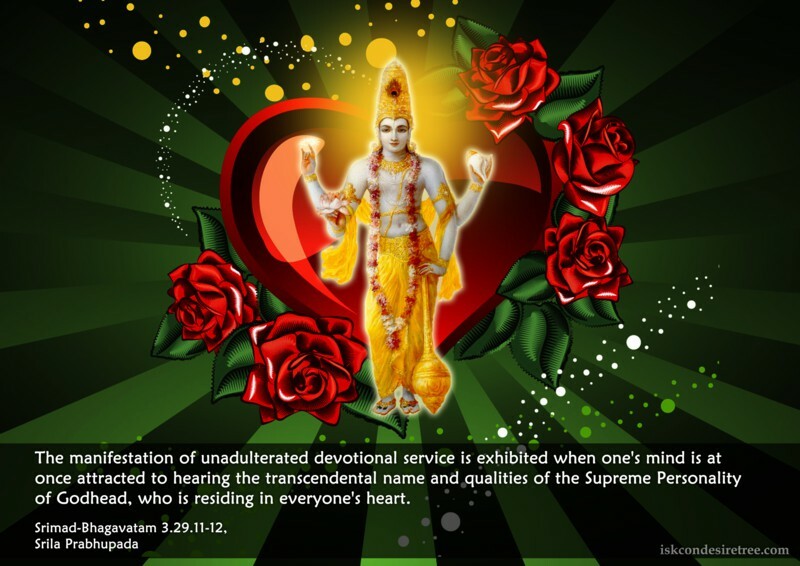 The manifestation of unadulterated devotional service is exhibited when one’s mind is at once attracted to hearing the transcendental name and qualities of the Supreme Personality of Godhead, who is residing in everyone’s heart. If one wants to capture Him, one must undertake devotional service. Lord has sent the rope of bhakti to pull all the conditioned soul suffering in dark well of illusion… hold firmly. Pure devotional service is the satisfying activity for the soul. 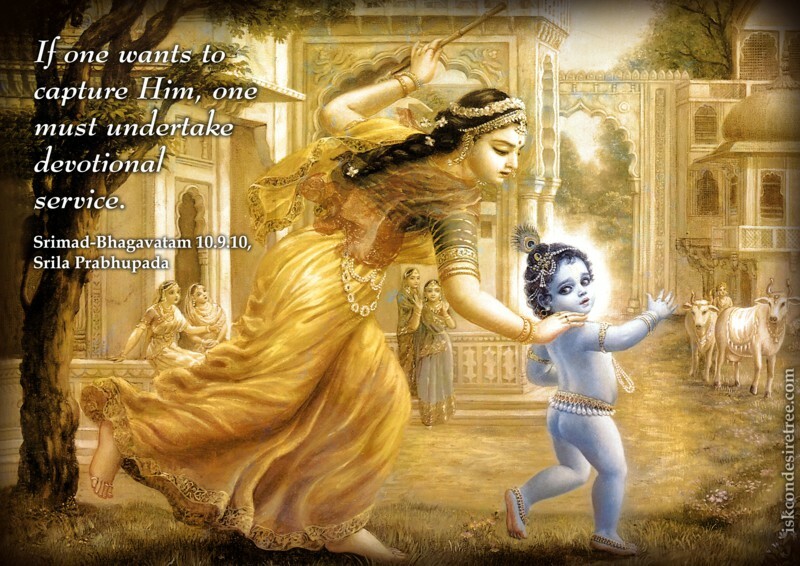 So Lord Caitanya was specifically preaching pure devotional service, this was his unique contribution. Even in the history of whole vedic culture it was very rare to find someone who is preaching pure devotional service, other than Narada-muni and some acharyas. Lord Caitanya was very strict he wanted his followers to maintain that integrity of preaching only pure devotional service. When some of his followers visit other people who are not preaching pure devotional service, he would abandon them. 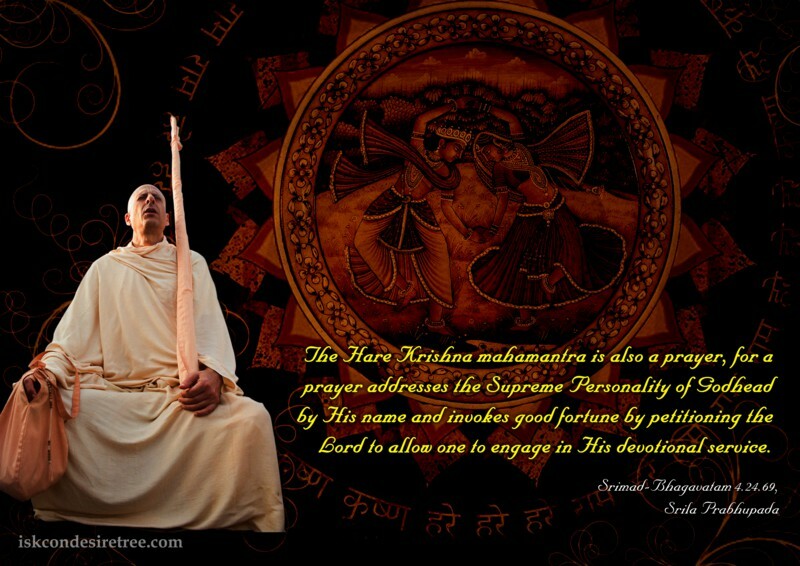 Although karma, jnana and yoga are discussed in Bhagavad-gita, the only purpose is to inform us of Krishna’s greatness and engage us in His devotional service.